"Technology has helped to improve my life. 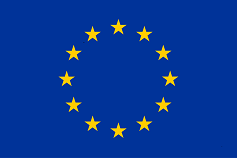 Our hope is that it can help many more people". Joaquín Romero. Founder of BJ Adaptaciones. This is what defines the spirit of BJ Adaptaciones. We started in 2002, when Joaquín Romero, who suffered from multiple sclerosis, decided to combat the disease and become deeply committed to this endeavor. 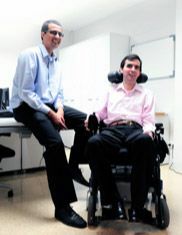 Joaquin and his brother Borja, both technical engineers, decided to improve Joaquin's quality of life by automating his home. This became their first project of BJ Adaptaciones, the assistive technology company for the spanish market, and consolidated our mission to offer solutions to people who suffered from a disability. In 2011 BJ Adaptaciones decided to offer its solutions worldwide using BJLive! as our manufacturer's brand. BJ Adaptaciones was therefore founded on the principles of service, quality and optimism. We create and distribute assistive technology for people with disabilities. We are pioneers in improving their personal autonomy, their ability to communicate and their access to work and entertainment. We strive to offer the best support possible to all professionals who work with these user profiles. Our aim is to bring together products, services and technology to improve the quality of life of any person living with a disability. BJ Adaptaciones is the leading Spanish company in the distribution of assistive technology nationwide. If your company is interested in marketing its products in our country, BJ Adaptaciones is your best choice. Our relationship with suppliers is based on close collaboration, as we share the same objective: to bring assistive technology solutions to as many people as possible. To this end, we join forces with suppliers regarding translations, adaptations, marketing campaigns, etc. In the partners section you will find a list of companies we work with. We provide our assistive technology manufacturers with a nationwide sales force, a comprehensive website, a Newsletter aimed at professionals and a wide range of tools to serve all types of clients. We offer training in the form of a support program created to provide professionals with information on assistive technology solutions that are designed and distributed by BJ Adaptations. Our commitment is the result of the personal experience that led us to become a company. It is this drive to achieve excellence that encourages us to continue innovating and growing, while remaining fully dedicated to offering the best service and support to our clients. It is for this reason that we collaborate with different organizations from several different countries in the development of new solutions for people with disabilities. Networking is essential to offer global solutions. International Sales Manager - BJLive!